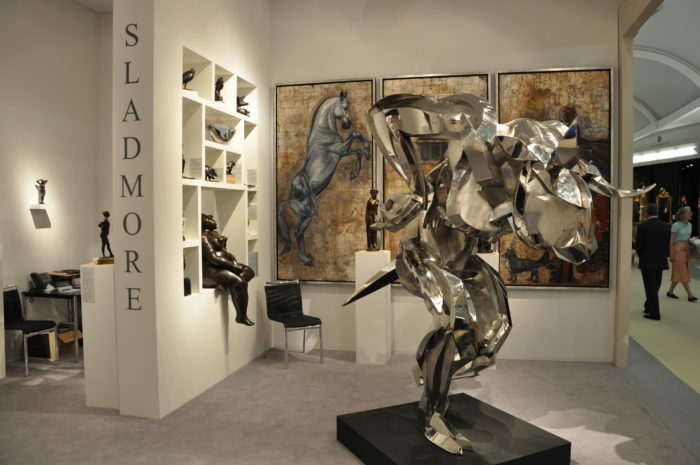 The Sladmore stand at the inaugural Masterpiece Fair, to be held on the old Chelsea Barrack site, brings together fine art and cutting edge design. The unique design genius that ran through the Bugatti family is represented by Carlo’s early twentieth century exotic furniture and his son Rembrandt’s exceptional sculpture and culminates in today’s iconic Veyron supercar which continues the original design ethic of legendary car designer Ettore Bugatti. Also on display will be a selection of early twentieth century sculpture by Degas, Maillol, Modigliani, Rodin and other masters. 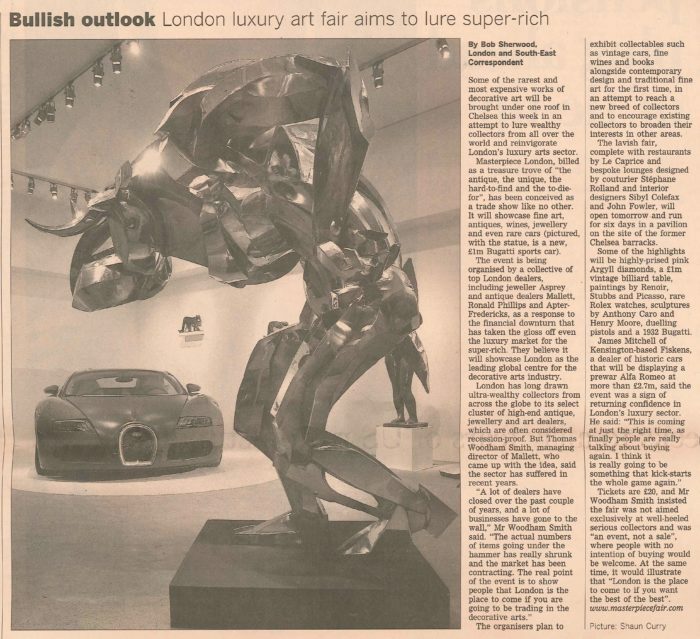 In addition, work from Sladmore Contemporary’s stable of sculptors will be on show including Sophie Dickens’ recently completed stainless steel minotaur. Stop press. Sladmore awarded best stand at the fair.